Reginald Greenwood was born on December 31, 1899 in Knobs Township, North Carolina. His father, John Claude Greenwood, was born in 1872 in NC. His mother, Annie W. Booth, was born in 1873 in NC. They married in 1898 and had two children. His younger sister, Sadie Greenwood, was born in 1902. The father worked as a factory manager. They lived at the maternal grandfather's home, the Reverend Jonas H. Booth (1845-1924), who was a newspaper printer. On March 18, 1915 his father, John Claude Greenwood, died of a heart attack at the age of forty-three. In 1917 during The Great War he was drafted and served as a band musician with the 50th Infantry and was sent overseas in 1918. He was honorably discharged in 1918. After the war he moved to New York City, where he studied art and began his career as a free-lance illustrator. He attended a NYC art school for three years. In 1921 he began to work as a newspaper cartoonist for The New York Journal-American. 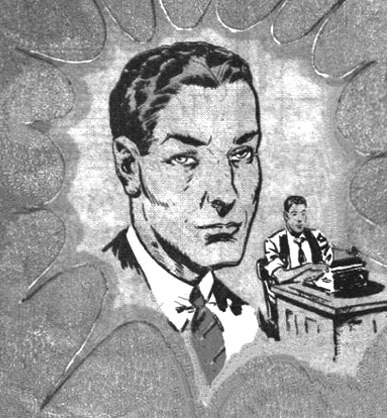 In 1921 his North Carolina hometown newspaper The Elkin Times reported, "Reginald Greenwood has attained success in New York City as a newspaper and magazine cartoonist. All of those who grew up with him in Elkin wish him well." On December 31, 1925, his twenty-fifth birthday, Reginald Greenwood married Beatrice Sutcliffe in Queens County Civil Court. She was a blonde actress born in 1901 in New York City of English ancestry. She was divorced and had a seven-year-old son, who was subsequently named Robert Greenwood. They lived at 11520 209th Street in Queens, NY. His widowed Mother-in-Law, Evelyn Sutcliffe, who was born in 1876 in England, also lived with the family. 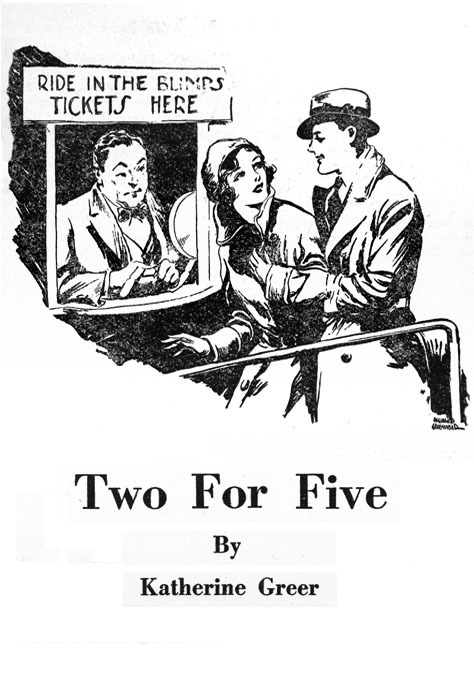 By 1930 he was drawing pen-and-ink story illustrations for the Street & Smith pulp magazine Love Story. On January 20, 1934 during the Great Depression the bank foreclosed on his unpaid mortgage and the family home was auctioned off. His marriage grew unhappy and ended in divorce in 1936. They had no additional children. He moved to a furnished room at 191-13 114th Drive in Queens, NY. During the 1930s he painted covers for Real Tempting Tales, Real Boudoir Tales, Real Stolen Sweets, Real French Capers, and Real Forbidden Sweets. 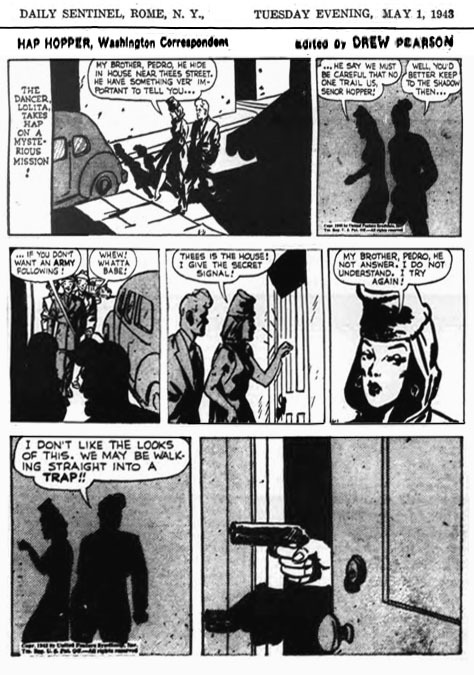 In 1940 he began to draw for comic books. He contributed to Mirror Man, Spark Man, Menta, and Triple Terror. 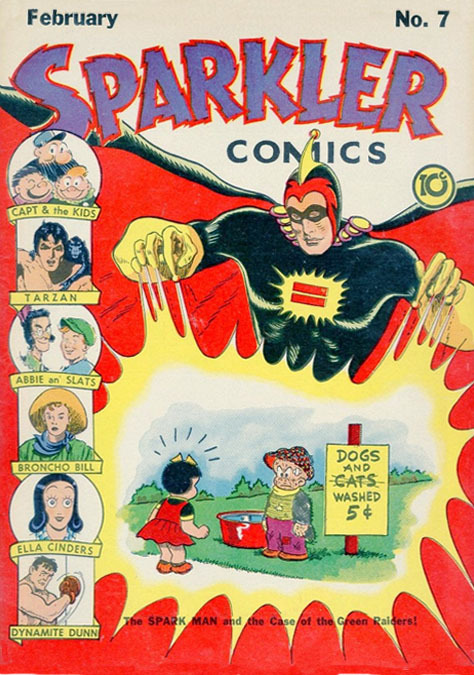 In 1942 he began to draw the popular syndicated comic Hap Hopper - Washington Correspondent, when the strip's original artist, Jack Sparling (1916-1997), left to work on his newest syndicated strip, Claire Voyant. Hap Hopper was written by Drew Pearson and Bob Allen, well known Washington columnists, who had the unique idea to include actual persons that worked in the nation's capitol. 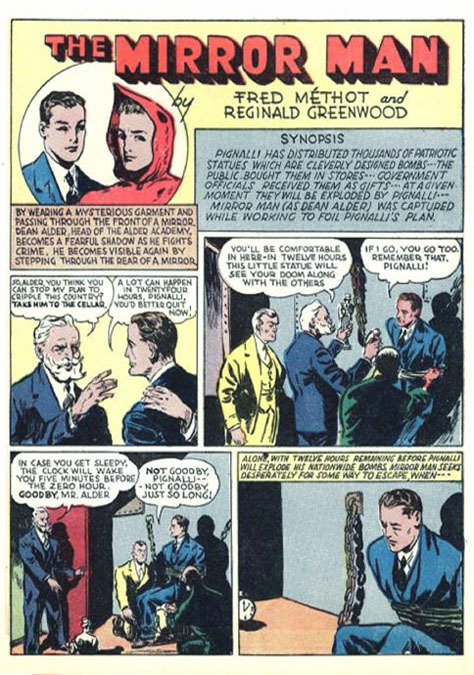 Reginald Greenwood died of a heart attack at the age of forty three in New York City on May 25, 1943. His father had also died of a heart attack at the age of forty-three. Only a terse eulogy appeared one week later when Walter Winchell reported from New York in his syndicated Broadway gossip column, Big Town Heartbeat, "Memos of a Midnighter: Reggie Greenwood (he drew Hap Hopper) succumbed last week. Heart trouble. Worked for the Journal-American 20 years..."